Welcome to Hognerds School of SCIENCE and Wizardry! 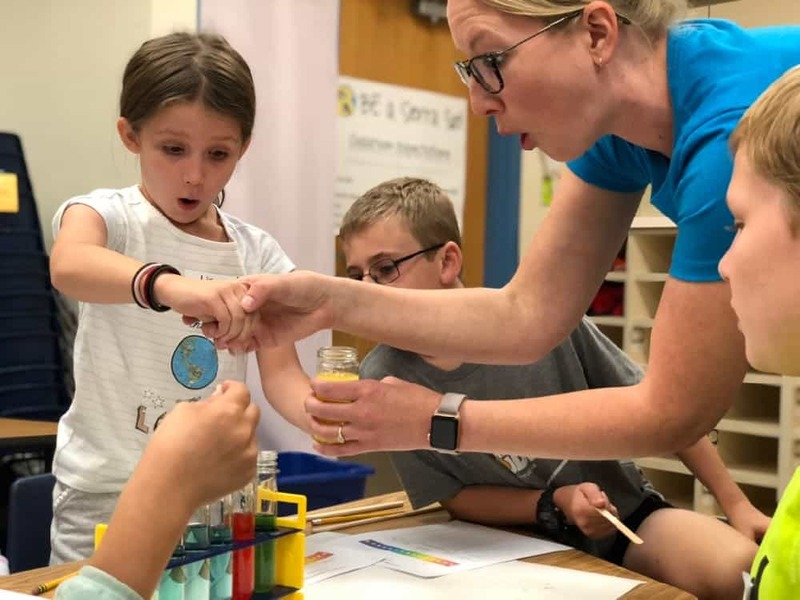 It’s not magic… IT’S SCIENCE! 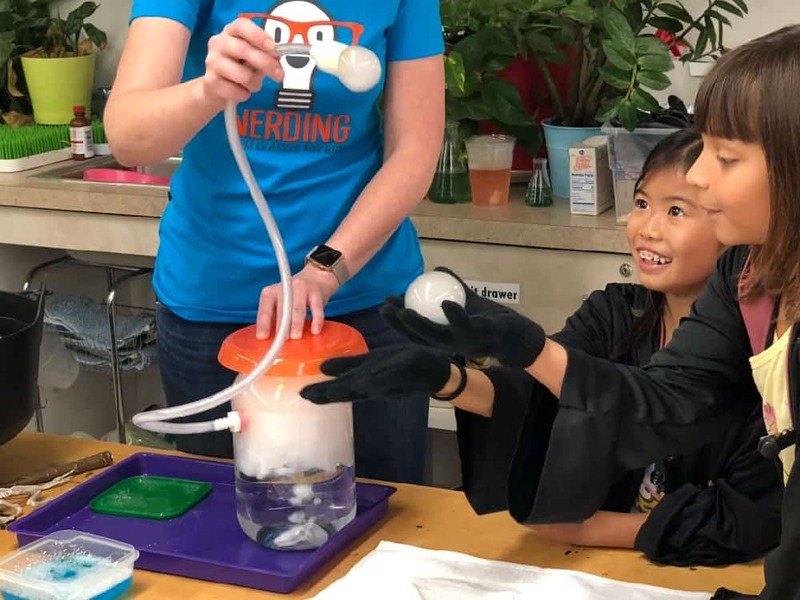 Experiment with chemical reactions in Transfiguration, static electricity in Charms, and acids and bases in Potions. Defense Against the Dark Arts (AKA safety) will be practiced at all times! 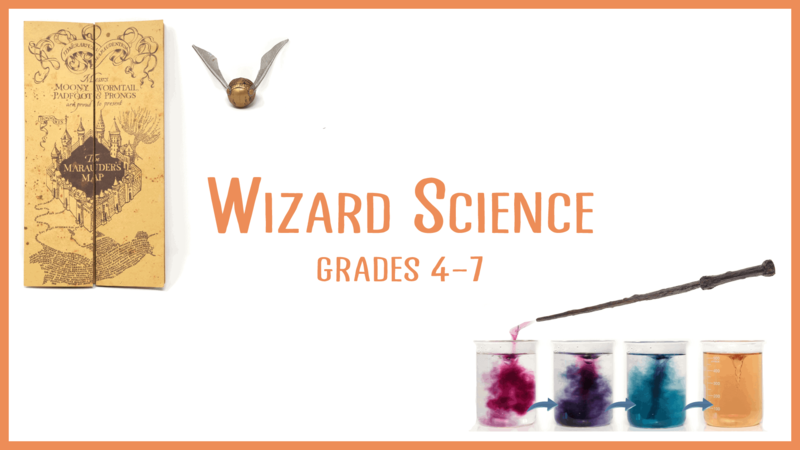 PLUS you get to dress up in wizard robes (yes, we have a class set of robes…) and make a wand!